President Nursultan Nazarbayev is a man with a plan. In 2016, the countries of Central Asia will celebrate 25 years of independence. While the actual dates of independence are in the later half of the year, all of 2016 will be part celebration and part reflection. Kazakhstan, in particular, as the most internationally prominent and economically successful state in the region, finds itself at a crossroads buffeted by harsh economic winds. The World Bank expects that Kazakhstan’s economic slide reached its true nadir in 2015 — with growth last year estimated at 1.7 percent — and should recover slightly in the coming year. That recovery however, is contingent on both reforms within Kazakhstan and global recovery, which Astana has little influence on. President Nursultan Nazarbayev is nonetheless a man with a plan. The strategy was iterated in several pieces but all falling under the grand umbrella of Kazakhstan 2050, unveiled in December 2012. At its core, Kazakhstan aims to wield both the economic heft and diplomatic sway its leaders feel it is due. 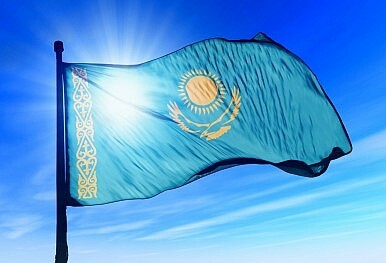 Nazarbayev has stressed that his goal to bring Kazakhstan into the top 30 most developed countries by 2050. Obviously, the heavy emphasis is on economic development but Kazakhstan’s many plans run the gamut, with the initiative’s shiny website highlighting seven areas: management, energy, ecology, knowledge (based economy), human (capital), urbanization, and international integration. He cites the 2015 early presidential election as evidence of national support for the reform agenda. Of course, the 2015 election was criticized by the OSCE as lacking “credible opposition… with several prominent critics of the government either imprisoned or living in exile.” That Kazakhs overwhelmingly support the only leader the independent state has known is no surprise but the lack of competing views may keep innovative ideas — particularly in the economic sphere — from emerging. Nazarbayev outlines progress toward the five institutional reforms — creation of a modern and professional civil service, ensuring the rule of law, industrialization and economic growth, unity, and transparency and accountability of the state — in his article. There’s not much new there and these reforms are all, on the surface, pointed in the right direction. But Nazarbayev is adept at saying what the international community wants to hear, using the right words about rule of law and combating corruption. The trouble will be the implementation of these reforms and whether or not the government is agile enough to course-correct as needed. Further, because so much of this grand plan is tied directly to Nazarbayev, the obvious question is whether the dream can outlive him.